French style seasonal decor with classic themes and opulence. Featuring a uniquely fluted texture, this handcrafted vase is ideal for statement-making arrangements. Jessica Kenyon's photography captures the emotion-stirring impermanence of objects in motion, most often shooting dramatic inks and luminous florals as they submerge into still water. Using soft textures and bright colors, she illuminates unexpectedly beautiful moments and shares their vivid elegance with the viewer. Crafted from super-soft velvet, this luxe cushion is a contemporary accent, wherever it's placed. Ruti Shaashua's background in textile design influences her kaleidoscopic works, often drawing inspiration from vivid Indian fabrics. Symmetrical patterns and repeating prints create lively scenes bursting with color on each mesmeric painting. Opaque glass bud vase that evokes a vintage look. In an ovular, cylindrical construction with an opening just big enough for a few pretty little buds. A majestic landscape rendered in pastels makes this throw pillow a whimsical addition to a bed, sofa, or chair. Giclée reproduction on hand-applied silver leaf panel. This artwork features a cascade of flowers and is framed in a bright silver wood frame. Steel, crystal; gold leaf finish Tufted with geo-patterned texture allover, our Aspen throw pillow features a boho aesthetic with tassel trim around edges. Handcrafted silver leaf cement tray covered in transparent resin. Hand-painted details. Soft and vibrant colors harmonize on this abstract rendering of a cheerful mood. Beautiful glass vase perfect for any décor. Capiz shell, brass; iron base with gold finish Elevate your greenery with clean minimalism in this cylindrical, standing planter. Stoneware planter in a crisp, matte finish sits on a trio of tapered wooden dowel legs. Israeli artist Tali Yalonetzki's nostalgia-tinged portraits - like this vivid rendering of pink petals in bloom - are reminiscent of the pages of a treasured family album. Capiz shell, windowpane oyster shell Super-soft and finished with ruffled trim for an added touch of fashionable flair, this ivory throw from Whim by Martha Stewart Collection brings a whole new level of style and comfort to any setting. Furniture designer and painter Mia Frandsen draws influence from the daily dualities of her life--concrete and pearls, metal and velvet, a hammer and a paintbrush--as evidenced by her tender use of colors both light and dark in this brushstroke bouquet. Set of five connected bud vases. Hand-painted glass, iron For artist Kristi Kohut, inspiration can be found in rich layers of agate or a rigid crack on the sidewalk. Working with acrylics, watercolors, inks and pastels, she paints until colors and patterns feel just right - a sudden, intuitive feeling that translates to pleasure and joy. Soft woven throw blanket with a rustic look that gives your space that perfectly worn-in feel. Finished with tassel trim at corners. Rizzy homes decorative accent pillows are the easiest way to create your dream home. You will find everything from glamorous embroidered detailing to southwestern inspired havens that will add a global charm to your home. All a while seamlessly layering with other colors and prints Giclée-printed cotton-blend canvas. Wood floater frame-mounted. USA "From the Ground Up" this curvaceous sideboard is utterly fantastic. Not only does its undulating butterfly-esque exterior attract your eye, but the unique ombré finish in ombré leaf is unforgettable. Standing tall on thin tapered legs, two doors open to reveal single adjustable shelves. Handmade and handpainted stoneware With milk glass shades and oiled brass hardware, this vintage-inspired chandelier brings feminine charm to any space. The abstract motifs of Pamela Staker's work are dually influenced by the rural Midwestern town where she grew up and the urban landscape of Chicago, where she now resides. Her works are colorful and choreographed, with free-flowing shapes that form as creative energy commands her brushstrokes. Hand-blown glass; brushed gold finish Velvet ottoman with allover tufting. Polyester/rayon upholstery. Pine frame. Made in the USA. Handcrafted giclée on gallery wrapped canvas. Textured gel finish with gold gild. Canvas and wood. Six-piece set. Originally constructed to block cold drafts in Colonial times, a wingback chair makes quite the historical statement in your living room. Here, this handcrafted seat boasts modernly striped upholstery for a timeless - yet eclectic - appeal. Artist Robert Robinson is known for his high-energy, abstract paintings. Here, he renders a fresh bouquet of florals in deeply saturated warm tones. Beautifully handcrafted abstract wall décor made of wrought iron. Painted in gold finish and each strand of wires are hammered. Can hang horizontally or vertically. Handcrafted bench with "X" base. Hardwood frame. Polyester upholstery. Sewn-in pillow top cushion. Made in the USA. Bring new dimensions to your space with this throw pillow made from a textured cotton weave with chevron fringed tassel trim at top + bottom edges for a fresh take on a boho aesthetic. Handcrafted giclée on gallery wrapped canvas. Matte finish. Silver float frames. Six-piece set. Handcrafted bench. Iron bamboo-motif frame with hand-painted gold-leaf finish. Seat, tufted velvet over wood composite. Artist Boriana Mihailovska's work draws inspiration from the shifting perspectives that shape life, like the birth of her daughters or a profound period of introspection. Experimenting with different papers, acrylics and metal sprays, she forms abstract compositions provoked by the human experience. Rizzy homes decorative accent pillows are the easiest way to create your dream home. You will find everything from glamorous embroidered detailing to southwestern inspired havens that will add a global charm to your home. All a while seamlessly layering with other colors and prints. Handcrafted hanging wall art. Plexi strips inset in a frame over a geometric image. Wood, acrylic, glass, and paper. White frame. With a trio of panels, this looped rattan planter displays your favorite little blooms + ferns with fresh, boho style. Hinging structure at each panel folds in and a platform along each panel at different levels holds your planter of choice, complete with arched motifs at top + base. Tucks away into itself for easy storage Woven throw blanket, made from a soft cotton with tufted geometric embellishment running across, complete with chunky tassel trim at corners. Tuck your blooming plants into this woven basket, available exclusively at Urban Outfitters. Rounded planter basket features a braided weave wrapping all around. Fits most planters up to 11” wide. Solid room divider crafted from natural Mango wood + reinforced with iron for a perfectly boho way to break up any space. Slatted construction that bends, so you can place it however you want! Great in a living or sleeping space. This cotton, machine washable design keeps easy care and style in mind. This hand crafted piece is the perfect addition for your bedroom or living room. 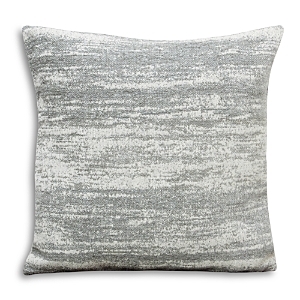 This pillow adds a statement pattern and fun texture into your home. Handcrafted gold leaf cement tray covered in transparent resin. Hand-painted details. From seascapes to landscapes, artist Leslie Westphal's works are colorful compositions inspired by humor, patterns and the modern world. This work is custom-framed by the artisans at Framebridge, who hand-cut and handcraft premium wood to showcase and suit each piece. Add an artful touch of modern energy to your home with this amazing quartz crystal orb that seems to radiate energy. Created in a studio in Brooklyn, NY and signed by the artist, this hand-blown glass holiday tray is made using the traditional French decoupage method. The bent glass makes the perfect shape for holding jewelry on your bedside table, loose change on your dresser, and even small appetizers at your holiday party. 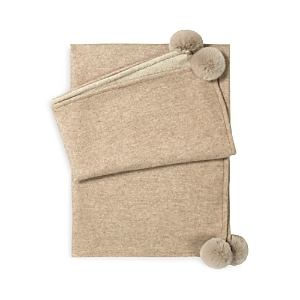 Bring some luxurious style and warmth to any setting with the cozy sweater-knit face and irresistibly soft faux-fur reverse of this comfortable throw from Martha Stewart Collection. Handcrafted giclée on gallery wrapped canvas. Textured gel finish. Gold leaf float frame. Literally wrap yourself in comfort with the Transform heated throw from HoMedics, a super-relaxed combination of soothing vibration massage and heat in a soft plush blanket. It's cordless for optimal convenience This beautiful collection of watercolors by Kiah Denson shows fashionable women in various poses highlighted by the brilliant violet color. The pieces have an ivory mat and mirrored frame. Great for bedroom styling, elevating your couch game and giving your office chair a polished upgrade, the Deny Designs oblong throw pillow is here. The rectangular lumbar pillow helps give your space the style it deserves.